A leading supplier of ‘High Performance’ alloys has sealed a number of new contracts after a major surge in demand for its ‘Emergency Manufacturing Service (EMS)’. Alloy Wire International (AWI), which is a 100% employee owned company, has completed 12% more EMS orders in the first half of the year than they did in the whole of 2016. The company has received urgent orders from customers in aerospace, nuclear and oil & gas, all looking to receive their wire made to specification in 3 to 5 days. Ian Fitzgerald, Operations Director, explained: “Our Emergency Manufacturing Service’ has been called upon quite often over the past 17 years …just never at the rate that we are seeing at the moment. “A lot of customers have found that a critical situation has arisen, such as an oil platform urgently needing components to resume production, necessitating the rapid delivery of a nickel alloy wire to avoid mounting production losses running into the tens of thousands of pounds! AWI’s Emergency Manufacturing Service has been developed over the last 17 years, with everyone in the business trained in how to handle an EMS order. As soon as one comes in the, the sales team look at the enquiry to review initial feasibility. It is then quickly passed through to the production team, who assess raw materials, tailor production schedules and allocate extra resource in order to turn the job around in the agreed timeframe. There is a dedicated EMS Account Manager that guides the order through every stage of the business until it arrives at the customer’s agreed location. “Over £700,000 has been invested into capital equipment, quality and in increasing our stockholding to more than 160 tonnes at any one time. This means we have the capacity, the material and the skills we need to offer this very special EMS,” continued Ian. “We can even alter manufacturing processes to achieve the mechanical properties/tensile strength needed to suit a specific application. 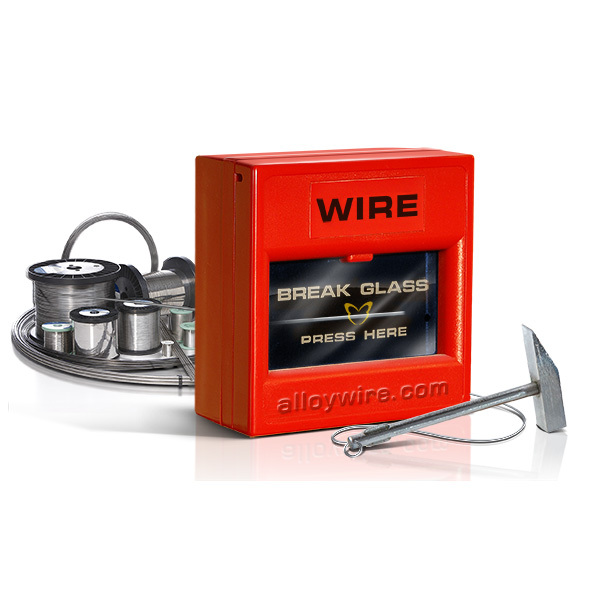 Alloy Wire International makes round, flat, shaped profile and electrical resistance wire in a range of material that is growing by the month, with more than 60 currently available to choose from. The company has recently launched its own ‘Wire Finder App’ and translated its website into 7 different languages as part of a marketing drive to help customers find the right wire for their applications.